If you lose your device PIN or password, you can use the Company Portal website to reset it. 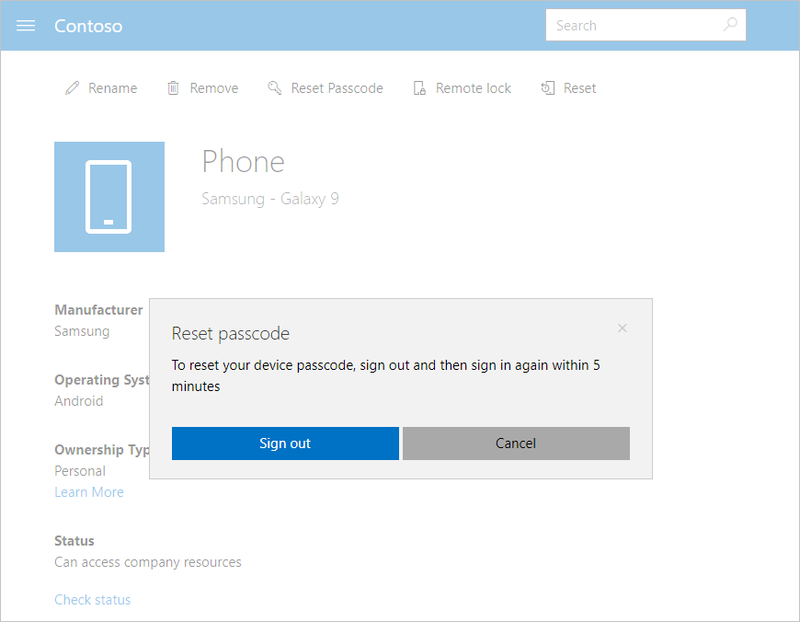 If you're using a corporate-enrolled device, you may not see the option to reset your device passcode. Contact your company support to reset the passcode for you. You cannot reset the passcode for devices running Android 7.0 and later. If you forget your passcode, you must reset the device to factory settings. 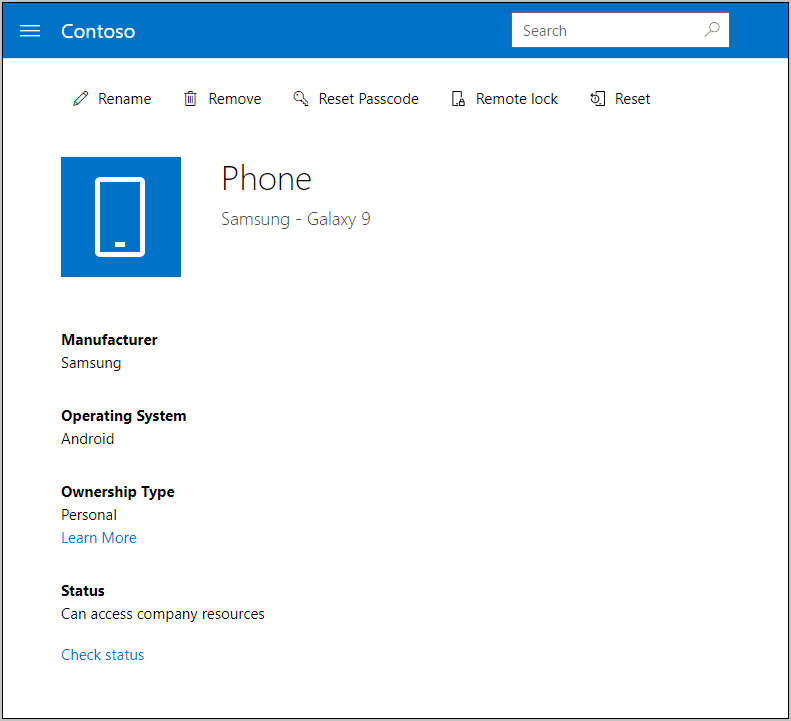 Open the Company Portal website and select the Menu button > Devices. Select the device that needs a passcode reset. Select Reset Passcode. If the passcode option isn't visible at the top of your page, select More (…) > Reset Passcode. When prompted, click Sign out. When prompted again, sign back in. You must sign back in to the Company Portal website within five minutes, or the Company Portal will not reset the device passcode. You must sign back in to confirm your identity. This is to prevent malicious attempts to reset your device passcode. A message appears to warn you that the existing device passcode is about to be removed. Click Reset passcode to confirm. After you reset your passcode, anyone who has physical access to the device will be able to access most personal and corporate information on it. If you don't currently have the device in your possession, don't reset the passcode. If you're resetting the passcode for an iOS device, its existing passcode will be removed. 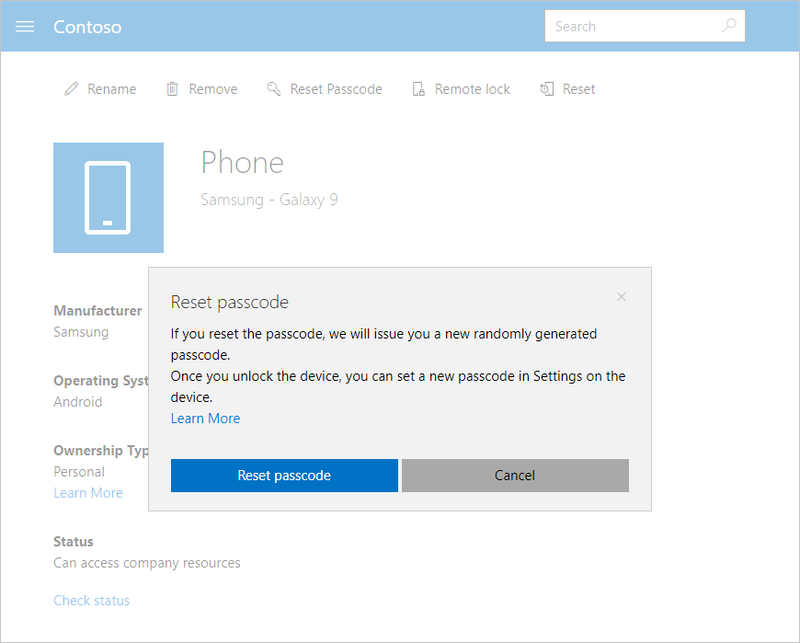 For Windows or Android devices, you will be issued a temporary passcode to unlock the device and set a new passcode. You can find the temporary password for Windows and Android devices in the Company Portal, under the device's details page. See the section Set up a new passcode for more OS-specific passcode descriptions. On your device, go to Settings and change the temporary passcode. A flag appears in the top right of the Company Portal website. Click to read the notification and confirm that the password was successfully reset. This section describes the passcode reset and the temporary password behavior for each device platform. Android: Removes the existing passcode and creates a temporary passcode made up of letters and numbers. iOS: Removes the existing passcode and does not create a temporary passcode. If you use the Touch ID fingerprint scanner to open your device or make purchases, you must set it up again. 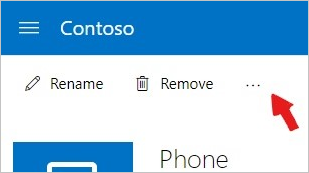 Windows 10 Mobile: Removes the existing passcode and creates a temporary passcode made up of letters and numbers. If set up, Windows Hello facial recognition will still work with the device. Windows Phone 8.1: Removes the existing passcode and creates a temporary passcode made up of numbers.